AO1: knowledge, and understanding. 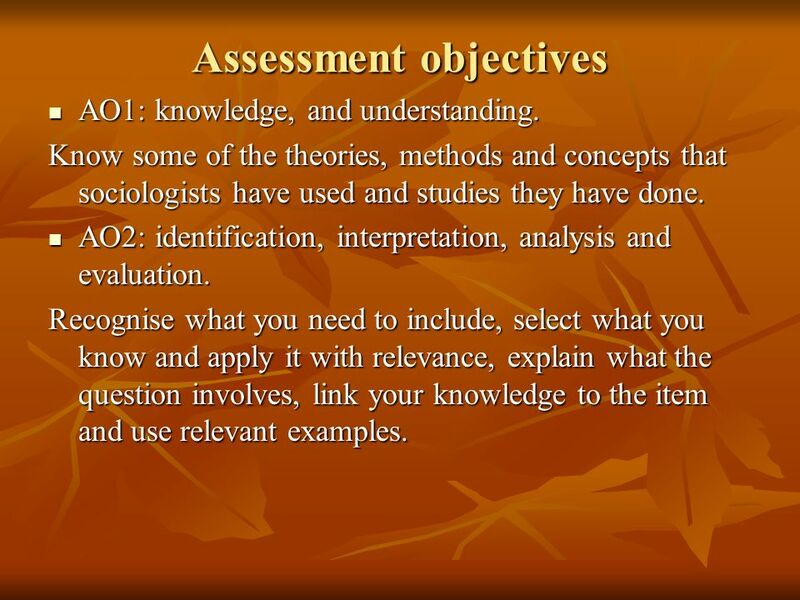 Know some of the theories, methods and concepts that sociologists have used and studies they have done. AO2: identification, interpretation, analysis and evaluation. 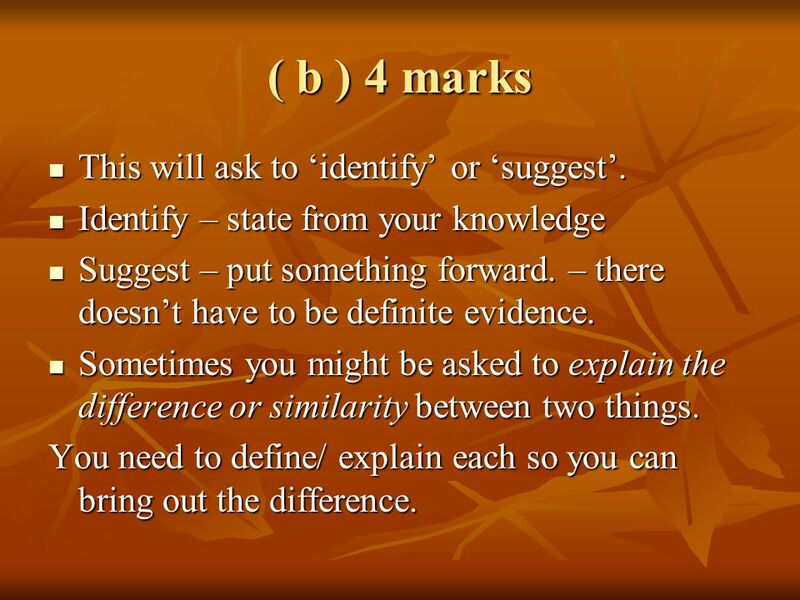 Recognise what you need to include, select what you know and apply it with relevance, explain what the question involves, link your knowledge to the item and use relevant examples. 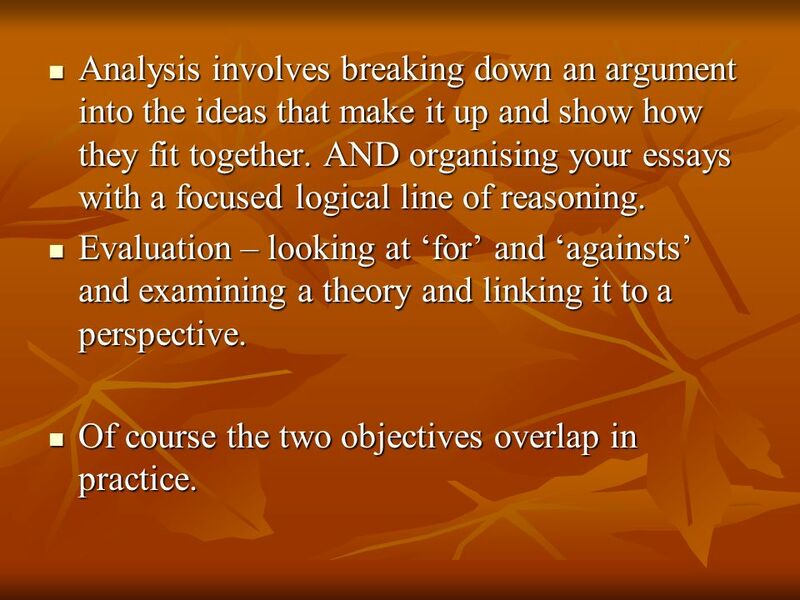 3 Analysis involves breaking down an argument into the ideas that make it up and show how they fit together. AND organising your essays with a focused logical line of reasoning. Evaluation – looking at ‘for’ and ‘againsts’ and examining a theory and linking it to a perspective. Of course the two objectives overlap in practice. 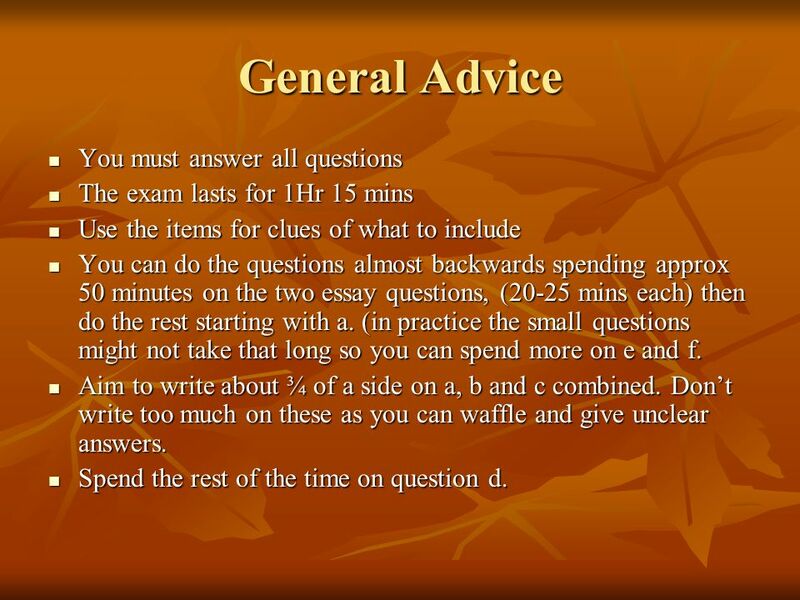 The exam lasts for 1Hr 15 mins Use the items for clues of what to include You can do the questions almost backwards spending approx 50 minutes on the two essay questions, (20-25 mins each) then do the rest starting with a. (in practice the small questions might not take that long so you can spend more on e and f. Aim to write about ¾ of a side on a, b and c combined. Don’t write too much on these as you can waffle and give unclear answers. 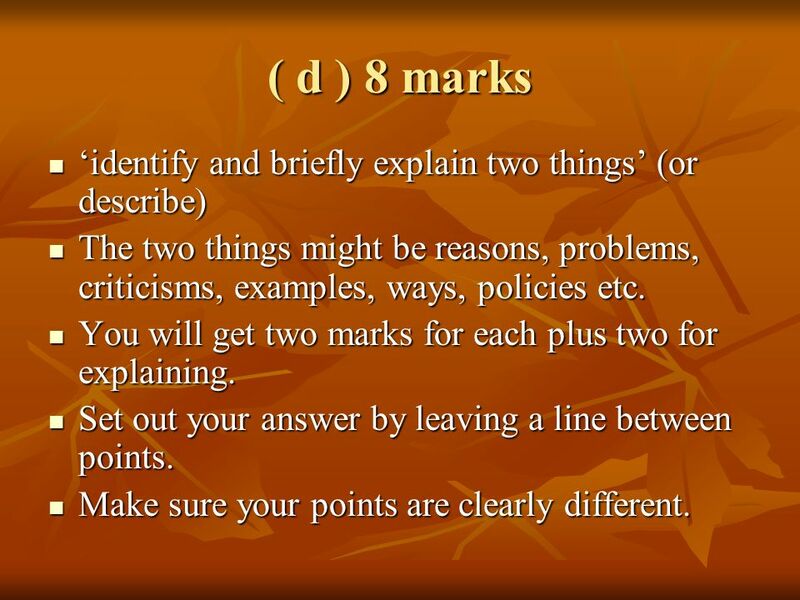 Spend the rest of the time on question d.
5 ( a ) 2 Marks What does ________ mean? You need to give a clear explanation / definition of the term. It will be in the item so read it carefully. Avoid repeating the term and an example is not enough. 6 ( b ) 4 marks This will ask to ‘identify’ or ‘suggest’. Identify – state from your knowledge Suggest – put something forward. – there doesn’t have to be definite evidence. Sometimes you might be asked to explain the difference or similarity between two things. You need to define/ explain each so you can bring out the difference. The two things might be reasons, problems, criticisms, examples, ways, policies etc. You will get two marks for each plus two for explaining. Set out your answer by leaving a line between points. Make sure your points are clearly different. 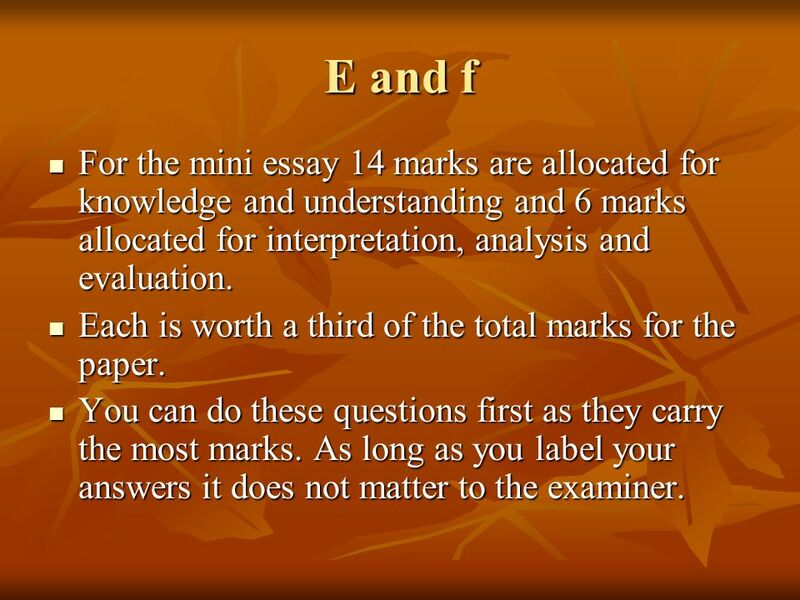 9 E and f For the mini essay 14 marks are allocated for knowledge and understanding and 6 marks allocated for interpretation, analysis and evaluation. Each is worth a third of the total marks for the paper. You can do these questions first as they carry the most marks. 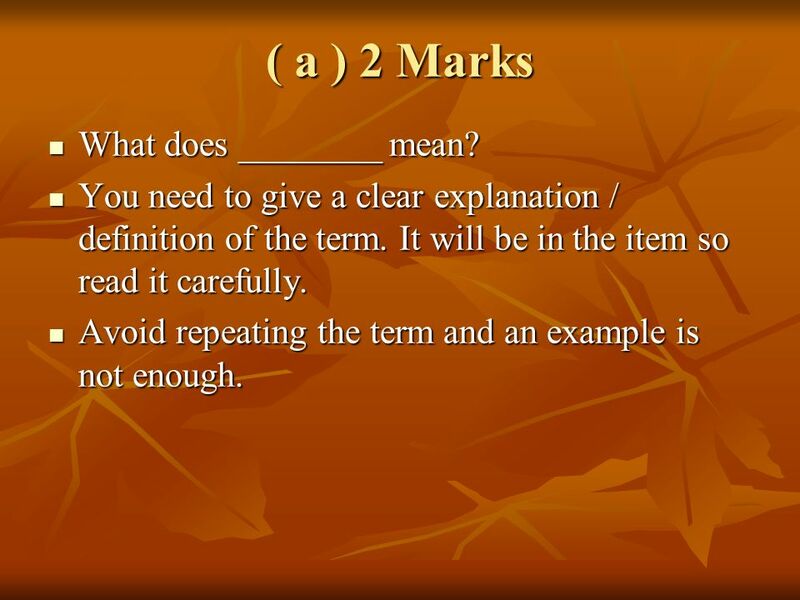 As long as you label your answers it does not matter to the examiner. 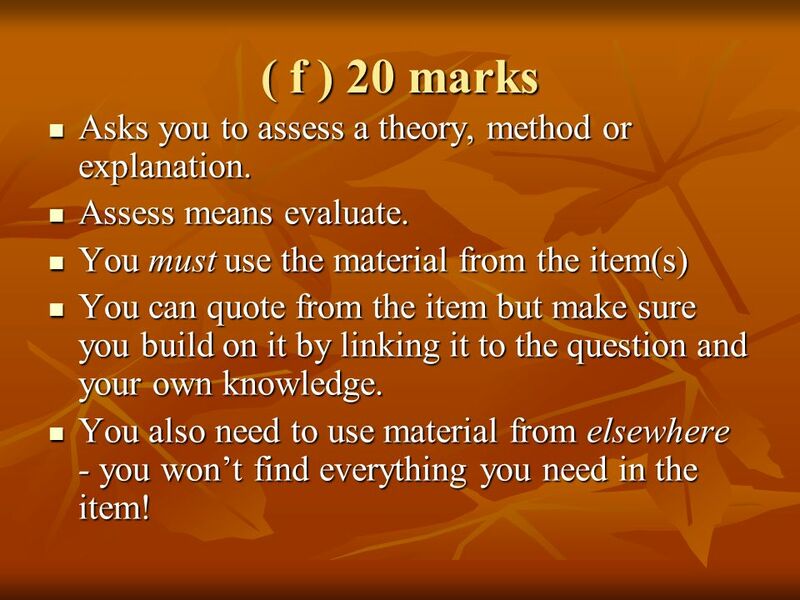 11 ( f ) 20 marks Asks you to assess a theory, method or explanation. Assess means evaluate. 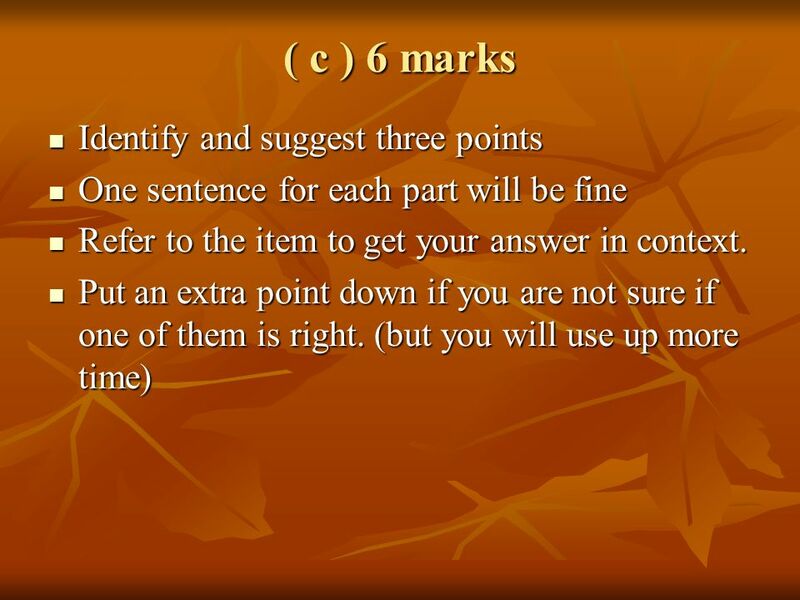 You must use the material from the item(s) You can quote from the item but make sure you build on it by linking it to the question and your own knowledge. You also need to use material from elsewhere - you won’t find everything you need in the item! 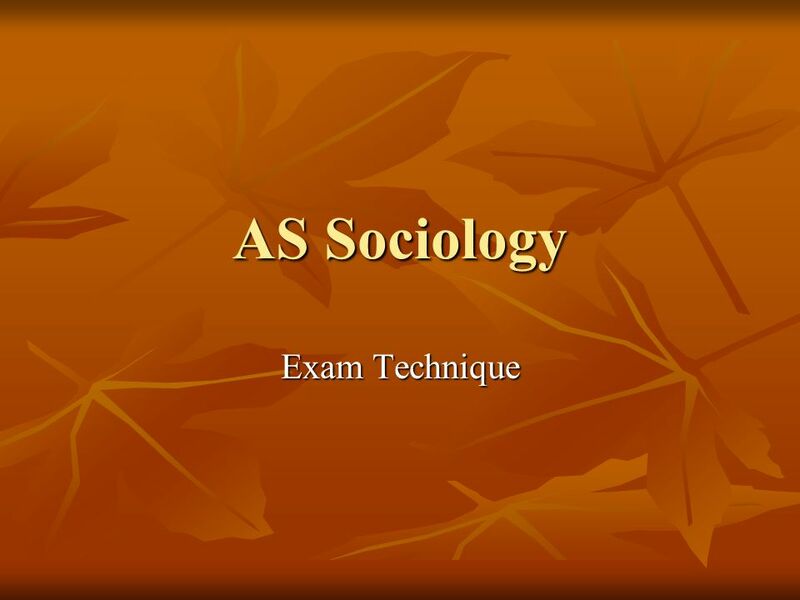 Download ppt "AS Sociology Exam Technique." Close Reading at NQ Is it really that different to what I have done before? A2 coursework What do I have to do? What is required? You have to carry out a piece of research that is related to the specification You have to carry. IPM Exam PreparationIPM Exam Preparation November 12 th pm – 5.15pm 2 hours & 15 minutes reading time. 2.3 Unfamiliar Text An Overview. MSc Epidemiology Exams what, why, when, how. Paper 1 Covers extended epidemiology, STEPH and clinical trials Purpose of today’s talk: –Explain format. 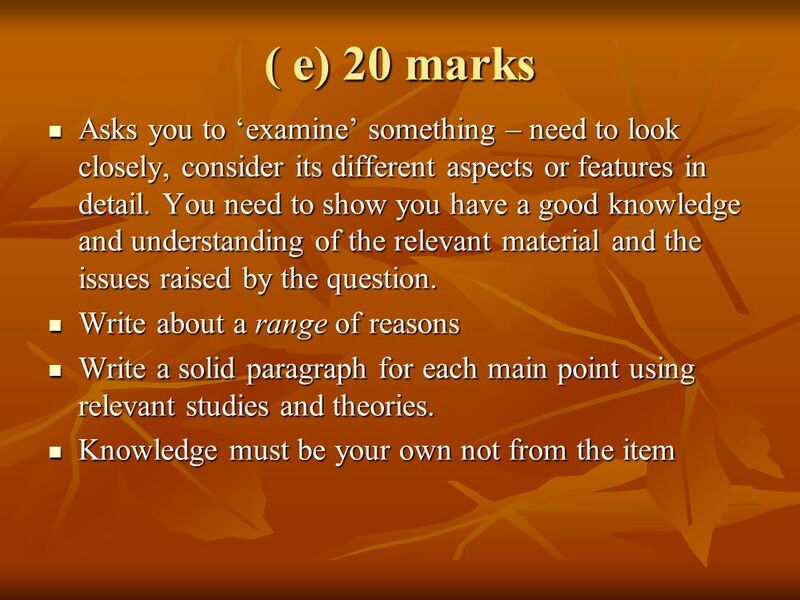 A2 Sociology Religion Exam Technique Modules You will do two exams and one piece of coursework. Exam modules are religion and the synoptic module of.